Bruce Sigsbee, MD, assumes the office of AAN president at the April annual meeting in Hawaii, but his history with the Academy spans nearly 20 years. A neurologist in private practice since 1980 — now with Pen Bay Physicians and Associates in Rockport, ME, a large multispecialty practice, where he has also served as medical director — he has been active at the AAN since 1990, when he first joined the Medical Economics and Management (MEM) Subcommittee. Dr. Sigsbee volunteered as the AAN representative to the Advisory Committee for the Relative Value System Update Committee (RUC) of the American Medical Association from 1992 to 1996, and it is largely due to his dedication that the AAN was given a seat on the RUC in 1996. Over the years, he has chaired several AAN committees including MEM, the Audit, the Bylaws, and the Finance Committees, and has participated in numerous others. In a Mar. 8 Neurology article, Dr. Sigsbee discusses why nonprocedural specialists, such as neurologists, are experiencing the same economic disadvantages as primary care doctors. It is a subject that resonates with many of our members, who have been discouraged by declining income as a result of loss of consultation codes. Neurology Today asked Dr. Sigsbee to answer some tough questions that have been on the forefront of members' minds as they consider how to handle the financial and regulatory pressures that they face. I DON'T DO EMGS. MOST OF MY PRACTICE IS BASED ON OFFICE VISITS AND MY PATIENTS HAVE COMPLEX PROBLEMS THAT ARE VERY TIME-CONSUMING. WITH REIMBURSEMENT CONTINUING TO DROP, I MAY GO OUT OF BUSINESS SOON. WHAT IS THE ACADEMY DOING TO HELP MEMBERS LIKE ME? We recognize that this is a huge problem. It's probably the number-one problem that affects neurologists. The income gap is widening and it is impacting on the ability of neurologists to recruit new physicians. While we need to emphasize procedures for economic survival, it detracts from the care of patients with chronic disease. So we are doing everything we can to improve evaluation and management (E&M) reimbursement. We're adding three new staff positions, including an additional legislative fellow to assist Mike Amery in his lobbying efforts, a dedicated health policy analyst, and a regulatory affairs manager. The congressional affairs representative will organize our political action committee (PAC) efforts and meet with Congressional members and staff. The regulatory affairs manager will establish relationships with key policymakers at the Centers for Medicare and Medicaid Services (CMS) and other agencies. The policy analyst will provide detailed research to support our positions. SOME OF MY COLLEAGUES IN OTHER SPECIALTIES — DERMATOLOGY, RADIOLOGY/ONCOLOGY, CARDIOLOGY, AND GASTROENTEROLOGY — ARE SEEING LARGE INCREASES IN THEIR SALARIES. WHY DO NEUROLOGIST SALARIES SEEM TO BE DROPPING? The time component assigned to procedures, particularly at outpatient facilities, is substantially longer than the time an efficient practice takes. However, the same efficiencies cannot be realized with E&M services. We do continue to fight for our procedures at the RUC and have had successes, including improved payment for EEGs and the recent efforts to accurately code and fairly reimburse nerve conduction studies. We're also trying to address the salary gap through corrective legislation. We're pushing to have neurologists participate in the primary care bonus, which provides an extra 10 percent payment for those that qualify and is intended to in part close the revenue gap between procedures and E&M services. The gap is huge, up to a five-fold difference in revenue or more for the same time commitment. The primary care bonus, while helpful and every little bit helps, does not meaningfully address the revenue gap, however. To address the loss of consult codes, we've also formed a coalition with other cognitive specialties such as rheumatology and endocrinology, which are feeling the same pressures. The truth is that some of those other professional societies have been successful through heavily supported PACs. The PAC has been an incredibly important tool for us as well, but it only began to raise donations in 2007. Up until its inception, people in Washington thought we were the same specialty as neurosurgeons. Today, four years later, even the CMS Administrator Don Berwick is now aware of our organization and its mission. Despite current financial pressures on the AAN, we are putting more resources into advocacy efforts. But this is a political process. We cannot succeed if members do not help us. We need you to write letters to your politicians, reply to our Vocus requests (that facilitate sending those letters to your congressmen), and to get involved with Neurology on the Hill. On March 1st, we sent 135 people to the Hill, and over the past seven years, more than 400 neurologists have participated in the program. Our PAC received $308,084 from members in the 2009-2010 election cycle, an average donation of $18 per member. Compare this to the $2,198,203 received by the American College of Radiology PAC — $81 per solicitable member — and the American College of Emergency Physicians, which received $1,855,290, an average of $88 per solicitable member. We still have our work cut out for us. WITH ALL THE IMPENDING PENALTIES IMPOSED BY THE CMS, AND THE RECOVERY AUDIT CONTRACTOR AUDITS GEARING UP, WHY SHOULD I CONTINUE TO PARTICIPATE IN MEDICARE? The decision to participate represents a complex set of issues. The economics are important. If you elect to not participate, the patients will be paid directly and you will not be reimbursed as much as you would if you participated. In addition to the increased out-of-pocket cost to the patients, you also have to collect the whole amount from the patient. As we all know, collecting that amount could be very difficult. Most of your Medicare patients will elect to go elsewhere. As a pundit once said, patient loyalty is worth only about $10. Can you make up the difference with individuals with other insurance? Will you be able to attract those patients or get referrals? You should look at the annual revenue from Medicare and have a plan to at least keep budget neutral. Another consideration is the reaction of the physician community. One family practice group in my community elected to not see Medicaid patients. There was an enormous backlash and the bad feelings still linger. You could well experience the same backlash. Also, your referral base may view you as not being very helpful if you are only seeing a portion of the patients they care for. The referral patterns could and are likely to shift. Finally, the Medicare participants are typically the elderly patients with disease prevalent in that population. If seeing patients with stroke, dementia, or movement disorders is a major professional interest, it would be inadvisable to not participate. I'M 56 YEARS OLD AND PLAN TO RETIRE IN THE NEXT TEN YEARS. I REALLY DON'T CARE TO INVEST IN AN ELECTRONIC HEALTH RECORD (EHR). WHY SHOULD I? 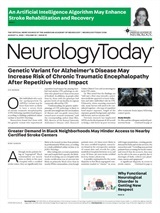 Neurology Today11(5):28-29, March 03, 2011.